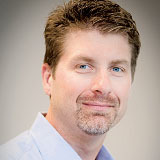 Kevin Shoemaker is director, global solutions, Integration Point Inc. Considering the effort it took to comply with the Jan. 26, 2010, Importer Security Filing (ISF) mandate, it would be understandable if we adopted a “set it and forget it” mindset and assumed there was nothing left to do now that we’re all filing our ISFs. Unfortunately, it’s not that easy. Any time you are required to submit data to U.S. Customs and Border Protection (CBP) pertaining to importing goods, there is an inherent understanding that it must be accurate. If it is not, then CBP will hold you— the importer— responsible. The same expectation holds true for ISF— with one major exception. Successfully submitting the ISF filing does not end your responsibility as an importer. You must also ensure that the data elements common to both the ISF and the entry documents are the same on both documents.